A report DG Growth commissioned in support of its initiative entitled Transparency, Predictability, and Efficiency of SSO-based Standardization and SEP Licensing (the CRA report) proposes that SDOs or the European Patent Office could also help meet this objective by being appointinted the central assessor that would screen patent disclosures to determine and count which patents are truly essential. This would be undesirable intervention with various adverse consequences. As I wrote here for IP Finance in detail very recently, third-party determinations on large portfolios are inherently subjective, inconsistent and unreliable. The creation of this EC-ordained “patent counting” database would also lend it to being used as an interventionist means of valuing SEP portfolios. In conjunction with the unwarranted imposition of maximum cumulative rates (i.e. royalty caps), this could facilitate the ill-conceived price regulation alluded to by the Competition Commissioner. The CRA report also embraces defective patent hold-up and royalty stacking theories. General theories on hold-up and “Cournot complements” are misrepresented and do not apply to patents. There is a lack of supporting evidence on alleged patent hold-up, royalty stacking and much of it to the contrary including that for opposing effects from patent hold-out (i.e. patent trespass). SDO IPR policies are commonly misrepresented with the bogus notion that patent owners should be deprived a share of value from use of patents in standards. Neither the economics nor the law is settled here. Sharing in the “gains from trade” incentivises risky investments. Private ordering has worked very well in 2G, 3G, 4G and it will continue to work well in IoT including 5G. Prospects are no more uncertain now than they were when these previous-generation standards were introduced and helped transform the communications markets. Decades of fruitful progress indicates it is not “too soon to tell” how things are playing out. By all measures these markets are extraordinarily competitive and successful, with large research and development investments, extensive resulting innovation, massive growth in subscribers and data consumption, reducing quality-adjusted prices, and dramatic shifts in market shares with new market entry, market exits, low and decreasing concentration in supply. I have been showing this with facts and figures here, here and here for many years, and as others have confirmed. The CRA report is right to reject a mandatory switch to chip-based royalty rates and licensing, and to recognise the legitimacy of charging different royalties depending on “field-of-use” (e.g. an IoT lightbulb versus an augmented reality headset or a self-driving car). This well-established principle aligns costs with functionality used and value generated. IoT is expected to be worth up to the teens of trillions of dollars to the global economy by 2025. That is 500 times more than the cost of licensing the communications technologies that are already providing the growth fulcrum for IoT developments. Undercutting royalties will diminish gains that could otherwise be obtained widely by leveraging reinvestments in intellectual property. 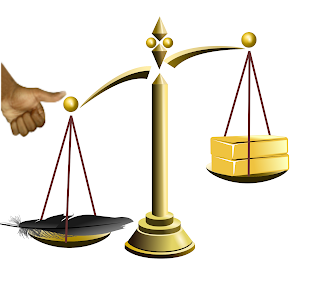 With it being much more difficult to obtain injunctions than it used to be, as the CRA report and Justice Birss in Unwired Planet v. Huawei also observes, the scales have already been tipped significantly in favour of implementers versus technology developers in terms of bargaining power. The balance here needs to be redressed here not swayed further. Royalties are flat or declining while opportunities and demands to invest in R&D for the good of all in IoT and 5G are increasing. DG Growth should not interfere with SDO governance or try to pick winners among these or their IPR policies. Rather than speculating about how much aggregate licensing costs could be, costs should be measured by asking licensees what they are actually paying in cash royalties. Compare that with the value the resulting technologies deliver in the market. Private ordering is preferable to public ordering and intervention is unnecessary. SDOs, patent pools, other licensing platforms and bilateral licensing under FRAND conditions can continue to serve the industry well and to the benefit of consumers. However, if EC decides to intervene there should be impact assessments before intervening and empirical analysis of effects thereafter. DG Growth should also measure the results previous rulings— including those affecting the availability of injunctions— have already had on royalty rates and how long it takes to complete licensing agreements. DG Growth’s analysis should be as open and transparent as possible, for scrutiny by all. The above is a summary to my full article, here. This supplements my response to the DG Growth consultation on this topic in 2015.